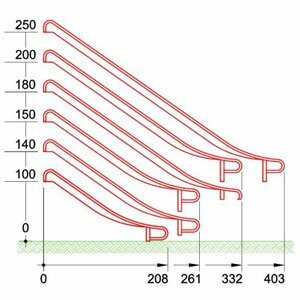 Stainless steel slide without upper wings suitable for mounting on existing timber or steel platforms. 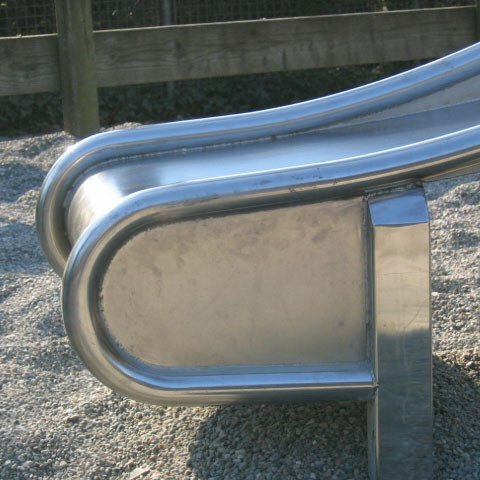 Our slides are manufactured from 2mm AISI304 stainless steel sheet. 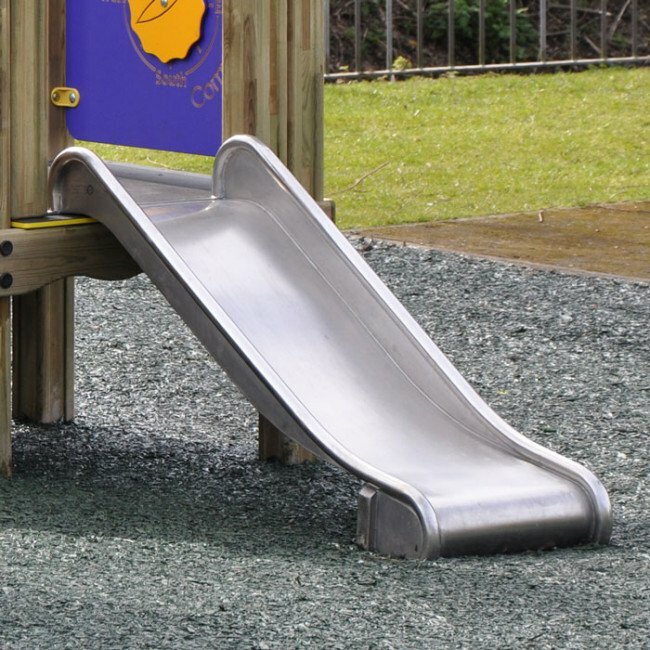 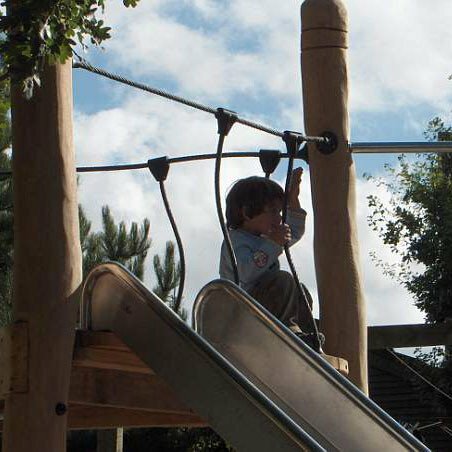 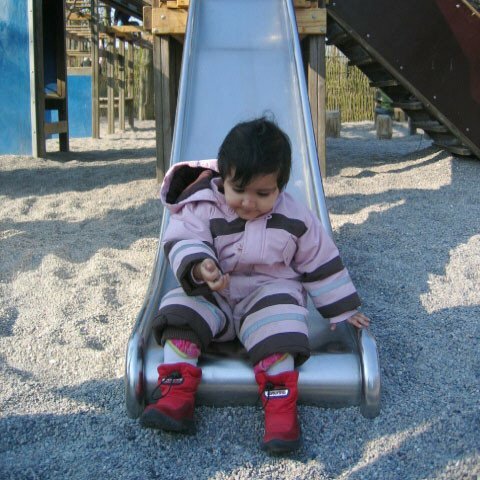 The slide can be fixed to the sliding platform by means of 2 coach bolts and 4 woodscrews with the base slide legs being simply concreted in. 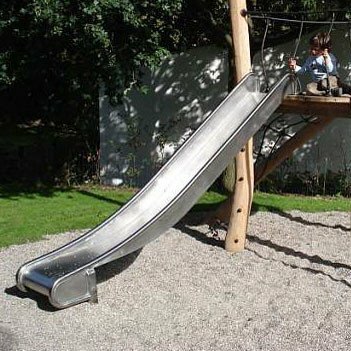 Please note NO fixings are supplied with the slide. 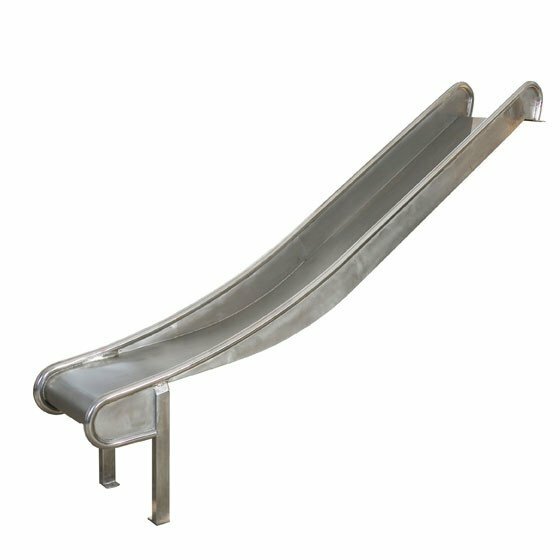 All slides are delivered strapped to a pallet.